President Black called the January 14, 2019 Regular Meeting of the Board of Commissioners to order at 7:04 pm followed by a prayer and the Pledge of Allegiance. He announced that Proof of Publication was available for review. Commissioner Schin is absent with excuse. Commissioner HOLTZMAN moved to approve the minutes from the December 26, 2018 Regular meeting of the Board of Commissioners. Commissioner VILLONE seconded the motion. Motion carried 3-0 with Vice President Simpson abstaining due to his absence from that meeting. President Black presented a letter of Commendation to Corporal Ed Curtis in recognition of his 15 years of service with the Lower Allen Township Police Department. Commissioner VILLONE moved to approve the Check Register of January 4, 2019 in the amount of $203,651.44 and the manual check register of December 19, 2018 in the amount of $25.00. Commissioner HOLTZMAN seconded it. Motion carried 4-0. Vice President SIMPSON made a motion to approve releasing Mechanic Aaron J. Duncan from his probationary period, effective January 23, 2019. Commissioner VILLONE seconded the motion. Motion carried 4-0. Vice President SIMPSON moved to allow for the purchase of a replacement equipment trailer for the Parks Department in the amount of $10,280.25. Commissioner VILLONE seconded the motion and questioned if there were additional expenses anticipated before the trailer is ready for use. Mr. Vernau and Mr. Flint answered his question, stating that normally there are for marking and striping, but this will be a plain white trailer with a decal applied in-house. Motion carried 4-0. Commissioner VILLONE moved to approve the members of the new Pedestrian/Bicycle Study Committee from the included list. Commissioner HOLTZMAN seconded the motion. Motion carried 4-0. Vice President SIMPSON moved to approve the Tax Collector’s December 2018 Monthly Report Commissioner HOLTZMAN seconded the motion. Motion carried 4-0. 2019 Forensic Vehicle Replacement: Public Safety Director Holl spoke about the purchase of a 2019 forensic vehicle to replace the current aging former ambulance. The request is for the purchase of a Ford Transit 250 High Roof van from Hoffman Ford. Dave Ickler and Charlie Reynolds put the quote together. The vehicle purchase, including lights, striping, and accessories, is estimated at $62,831. This item was budgeted at $68,000 with this estimate coming in $5,000 below budget. Participation in the COSTARS program with Hoffman Ford also saves the Township money. The existing ambulance will be sold on an auction site and Mr. Grove stated that it is anticipated to bring in about $2,500. Vice President SIMPSON moved to approve the purchase and Commissioner VILLONE seconded it. Motion carried 4-0. President Black mentioned that we get faster clearance on our cases due to Mr. Ickler being able to do his work in house. Ford AWD Interceptor Vehicle: Mr. Holl opened a discussion regarding the purchase of a 2018 Ford AWD Interceptor vehicle to replace Public Safety Unit 1 (PS1). Purchasing a 2018 stock model off the lot saves the Township $5,000 over purchasing a 2020 model. This replacement is budgeted at $40,420.00 including lighting, striping, and radio exchange installation. Fleet Manager Charlie Reynolds was quoted $29,581.92 for the vehicle using the Ford/COSTAR Fleet Contract. Even with the upfitting, the item is still anticipated to come in under budget. Commissioner VILLONE moved to approve the vehicle purchase and Vice President SIMPSON seconded the motion. Motion carried 4-0. Lower Allen Fire Company Fire Box Alarm Approvals: Mr. Holl explained how the Fire Box Alarm System functions in conjunction with the Cumberland County Computer Aided Dispatch (CAD) software to identify location, incident type, fire apparatus needed, and EMS units needed when there is a call into the 911 system. Following a review of the Box Cards by Chief Murdoch and Captain Wirth, the cards were found to be in need of updating. Approval of the Board is necessary for the letter to go out to the Cumberland County Department of Public Safety authorizing the County 911 Center to make changes to the Box System. In addition, permission is requested of the Board to authorize Director Holl to review, approve, and sign future Box Cards. Vice President SIMPSON moved to approve the updates to the Fire Box Alarm System and the assignment of Director Holl. Commissioner HOLTZMAN seconded the motion. Motion carried 4-0. Advertisement of EMS Paramedic Captain Position: As previously approved by the Board of Commissioners, Lower Allen Township will be transitioning from contracted ALS services to an in-house ALS service, with a Paramedic Captain reporting to the Public Safety Director as of July 1, 2019. Mr. Holl has spoken with Pinnacle Health about this upcoming change. A detailed job description for the position is included in the memo from Director Holl. He is asking the Board for permission to advertise for this position with hopes of filling it by the end of February. This person could then assist Mr. Holl with hiring of additional medics to replace Pinnacle employees, purchasing ALS equipment and drug purchasing. This person would also oversee the BLS Supervisors. President Black asked if the Medical Director position would also be advertised. Mr. Holl stated that because this is a specialist position, he will be relying on recommendations and interviewing those candidates. He has one candidate who is very interested. He is looking to hire someone who is going to be actively involved in training and medical report review. Vice President SIMPSON moved to approve the advertisement of the position and Commissioner VILLONE seconded the motion. Motion carried 4-0. Docket #2018-09: Request of Youseff Youseff to establish a tailor shop at 1710 Carlisle Road; applicant has not yet answered the off-street parking issue and details of the proposed business sign. This docket was continued. Docket #2018-10: Application of William and Sandra Seckinger to add on a carport at 1302 Strafford Road; variance was approved. Docket #2018-11: Application of JMC Property, LLC, to install off-street parking at 4500 Gettysburg Road; additional variances were needed and applicant withdrew the application. An amendment to Section 16.01.2 of the Personnel Manual is being proposed, as the per diem reimbursement rates have not been updated since 2006. The rates would be based on the General Service Administration rates for the Harrisburg-Philadelphia area. If attending an approved conference or meeting, the employee would be eligible for $61.00 per diem with 75% of the regular rate on the first and last day of travel, or $45.75. The mileage reimbursement is $0.35. Vice President SIMPSON moved to approve this amendment and Commissioner VILLONE seconded it. Motion carried 4-0. Scot Emerson’s Pay Increase for PA Pesticide License: Mr. Vernau proposed that $.50 per hour be added to Facilities Manager Scot Emerson’s pay rate to match the Public Works employees with pesticide licenses who already receive this increased amount. Mr. Emerson does the pesticide application for the Township properties. Vice President SIMPSON moved to approve this proposed pay increase and Commissioner VILLONE seconded it. Motion carried 4-0. Lisburn Community Fire Company 65th Anniversary: Mr. Vernau spoke about Lisburn Fire Company’s upcoming 65th anniversary. He wanted to make everyone aware that we will be presenting them with a Resolution at their annual banquet. It will be ready for Board action at the next meeting in January. Public Safety Services Study and Ad Hoc Committee: Mr. Holl and Mr. Vernau have been discussing the need for a study of public safety services. The last one was done about 15 – 20 years ago and only looked at fire services. Mr. Holl would like the study to include not only Fire, but also Police and EMS. There has been a decrease in volunteers for fire, an increase in all areas for call volume, an increase in training required by law, and an increase in the cost of fire apparatus. He would like to put together an Ad Hoc Committee to conduct series of meetings for long term planning. Mr. Holl is in the process of writing up a white paper on this and hopes to have it ready to present to the Board in the near future. The meetings would be open to the public and could even possibly be held in various locations. Commissioner Villone feels it is a good idea and would like to encourage public involvement. President Black stated that all of the Commissioners are in agreement with this plan. Finance Director Rick Grove announced that Lower Allen Township has received the Certificate of Achievement for Excellence in Financial Reporting award from the Government Finance Officers Association (GFOA) for the 29th year. The Commissioners congratulated Rick on his achievement. Commissioner Villone stated that he hopes for more strategic planning in 2019 for the Township to provide a clear picture as we start looking toward the 2020 budget. Vice President Simpson stated that he is glad that 2018 is over and he is ready to get 2019 started. 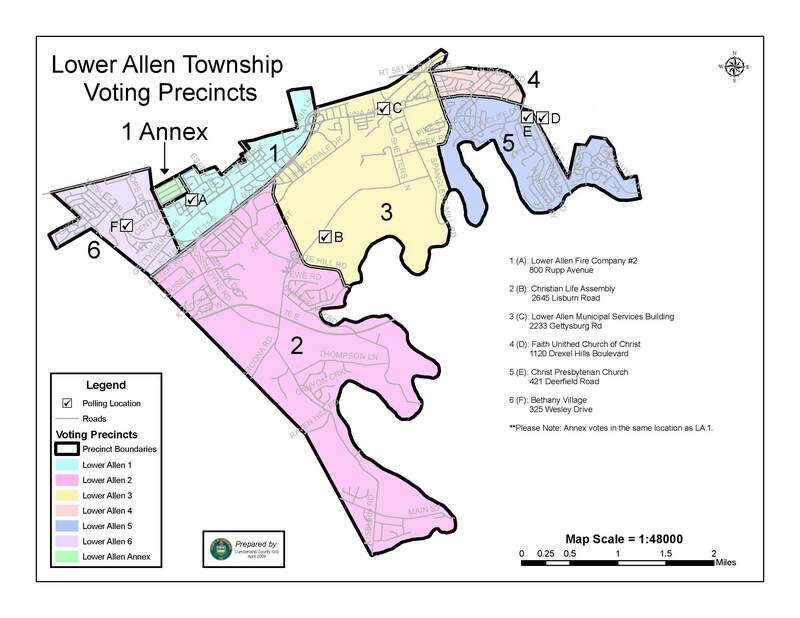 Commissioner Holtzman is hoping to make Lower Allen a better township in 2019. Solicitor Miner let everyone know that he will be on vacation at the time of the next Board meeting and will be sending Karen Miller in his place. Public Safety Director Holl spoke about it being a TMI exercise year. Training is scheduled for 2/2/19 at the Lancaster County Training Center. He stated that anyone from the Board who would like to attend is welcome. Information is provided for responders and providers. Assistant Manager Trone announced that the funding has been secured at a pre-closing finance meeting to close on the BonTon building this Friday. Also this week, on Wednesday, the Pedestrian/Bike Committee will have its first meeting at 6pm. Mrs. Trone and Mr. Flint will be leading that committee. Mrs. Trone also stated that the Commonwealth Financing Authority has once again rescheduled their meeting with Lower Allen from January 22nd until January 29th. She will keep the Board up to date with how that meeting goes. President Black spoke about welcoming the new tanker to Lisburn Fire Company last week. He also thanked Erin for her work on the BonTon project and leading Lower Allen Township in the right direction. 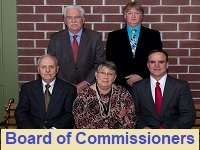 The Regular Meeting of the Board of Commissioners adjourned at 8:22 pm.